Irvin Dominin has written 7 articles, which have been read 441519 times. 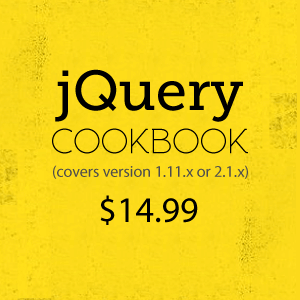 Abstract: Learn to use the jQuery UI DatePicker with some practical examples, tips and tricks. Abstract: Use jQuery to Sort a table. Also add Pagination to the table with Previous and Next links to move back and forth. Abstract: This article uses jQuery and Lazyloading to load images from Flickr and display it in a gallery using responsive design.